USAF Academy Located at the foothills of the beautiful Rocky Mountains, the US Air Force Academy is located northwest of Colorado Springs, Colorado. 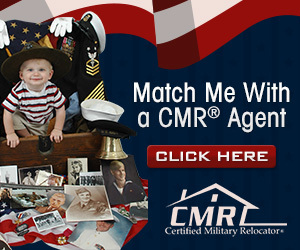 Serviced by the Colorado Springs Airport, located 15 miles south of the Academy, Colorado Springs is a military town that continues to experience tremendous growth. "The Springs", as we are affectionately known, is a high cost of living area. The average price of a single-family house is $202,500. The base operator's phone number is 719-333-1110, or DSN 312-333-1110. The Air Force Academy is the youngest of the U.S. service academies. President Dwight D. Eisenhower signed a congressional bill establishing the Air Force Academy on April 1, 1954. It was the intent of the Air Force to create a landmark equal to that of West Point, Annapolis or any other highly visible national asset. On June 14, 1954, the then Secretary of the Air Force, Harold E. Talbott, chose the present site and, on the same day, named a corner of Lowery AFB, Colorado, as the temporary site of the Academy while the permanent site was being constructed. The dedication of the temporary site and the swearing in of the first class (306 cadets) took place on July 11, 1955. Lt. Gen Hubert R. Harmon, who had been involved in much of the pre-legislation Academy planning, was recalled from retirement to become the first Superintendent. The first class of cadets to include women entered in 1976, and graduated in 1980. The Academy received two special honors on April 1, 2004 when the U.S. Postal Service celebrated the Academy’s 50th anniversary with a commemorative 37-cent stamp. Additionally, the Academy’s cadet area was designated a National Historic Landmark by the U.S. Department of the Interior. For more information, visit the USAF Academy's homepage. The staff and faculty of the United States Air Force Academy are charged with developing and inspiring future air and space leaders with a vision for tomorrow through academic and military instruction. The Academy prepares these future officers to assume the leadership roles of the 21st century and beyond. The US Air Force Academy is a Direct Reporting Unit (DRU). Traveler can enter the Air Force Academy through two entrance gates; the South Gate and the North Gate. The South Gate, a 24 hours entry point, is located off I-25 at North Academy Blvd, Exit 150B. The North Gate, located off I-25 at North Gate Blvd, Exit 156B. Please note: The North Gate is only opened from 6:00 a.m. to 10:30 p.m. daily. The Academy is located approximately 20 miles northwest of the Colorado Springs Airport. As you exit the airport, drive west on Milton E. Proby Pkwy. Merge onto S Academy Blvd/CO-83, go 1.9 miles, then merge onto I-25 N toward Colorado Springs. Take the Academy Blvd exit, EXIT 150, toward CO-83. Keep left to take the ramp toward the US Air Force Academy South Entrance. Turn left onto N Academy Blvd, cross over I-25 can continue towards South Gate Blvd. There is no military shuttle service to and from the airport. If arriving at Denver International Airport (DIA), follow the signs to exit DIA Access Plaza on Pena Boulevard. Follow Pena Boulevard approximately 9 miles and exit on westbound I-70. From I-70, exit on southbound I-225. From I-225, exit on southbound I-25. Continue southbound on I-25 to either Academy entrance. DIA is approximately 80 miles North of the Academy. Please be advised; this route will traverse Monument Hill (elevation: 7,254 ft). Monument Hill can be icy during winter months. The Academy is located 60 miles south of Denver, and is 10 miles northwest of downtown Colorado Springs. Approach Colorado Springs via I-25 from either north or south, and take exit 156B (North Gate) or 150B (South Gate) to enter the Academy. The Academy is located between I-25 and the mountains. The Greyhound-TNM & O Bus Station is located at 120 South Weber, in downtown Colorado Springs. From the bus station, head south to Cimarron (US 24), take Cimarron west towards the mountains. Just a few blocks ahead is the entrance to I-25 North. Take I-25 (North bound) for approximately 10 miles to Exit 150B, stay in the far-left lanes, turn left and enter the Academy via the South Gate. 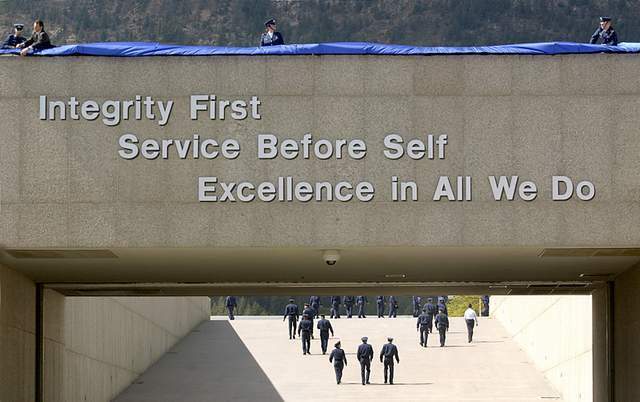 No listings found for United States Air Force Academy.